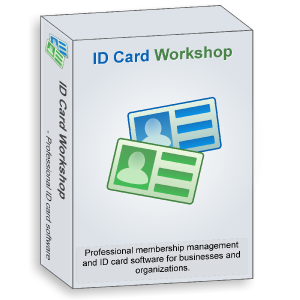 ID Card Workshop Team (A division of PixelApp Ltd.) , the world's leading provider of id card software today announces the release of ID Card Workshop 3.9, a professional ID card designing and membership management software. This new version added kiosk mode for unattended membership enrollment and data access. Together with this new release, the software also improved printing performance and fixed bugs. "We understand there is a great demand for id card software that build-in a full-screen kiosk interface." said Alex Li, the director of the team. "And here it is, The concise and easy to use kiosk mode of ID Card Workshop 3.9. The kiosk mode, together with the user roles management feature construct a strict user level based full-screen kiosk interface. You can use it for unattended access for guests or limit staffs to access the host system. This is a very useful feature for business operating environments." 2.Added auto login feature for SQL database login. 3.Added auto login feature for user roles management. 2. Improved double-sided printing feature for layout printing mode. 4. Fixed a registration problem. ID Card Workshop is an all-in-one id card making, designing and membership management software, it enables users to create ID cards, staff cards, membership cards with just few mouse-clicks and manage member's data with its inbuilt database management and verification features.